When a house and lands were given to a family by Robert the Bruce, it's fair to say that it's got the perfect Scottish pedigree. And that's how the Robertson clan came to own the Dall Estate, as a reward for their services during the Scottish Wars of Independence. 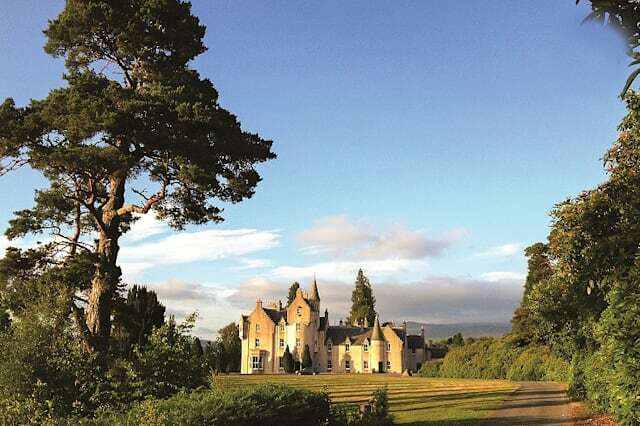 Now up for sale for offers over £7.5 million, it dates back to 1387, although the main castle was built in 1855 by renowned architect Thomas Mackenzie. 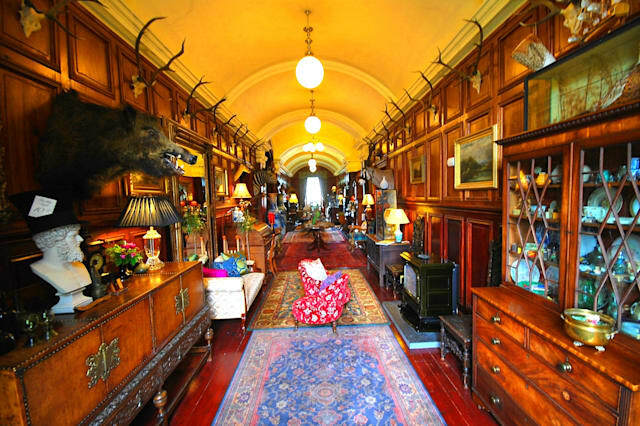 In traditional baronial style complete with turrets, the castle has fifteen bedrooms, with panelled hallways, stairs and reception rooms. Some of the bedrooms are 40 feet long, and there's a billiard room and three dining rooms, as well as a cinema and huge library on the first floor. But it's the estate that makes it worth more money than any other Scottish property on the market, say agents Asset Properties. The grounds, which run to around 90 acres, contain everything from squash courts and an indoor five-a-side football pitch to a laboratory, as well as many other buildings, old and new. There are four dormitories, 14 houses, workshops and stores. "With many buildings included in the sale some reaching 300ft long it should be clear the planning gain is impressive and on a scale you would struggle to match," they say. "Some buildings require work and in some cases have only been kept standing in order to retain its planning gain." The estate even includes two hydro substations to provide power, although these are in need of some work. 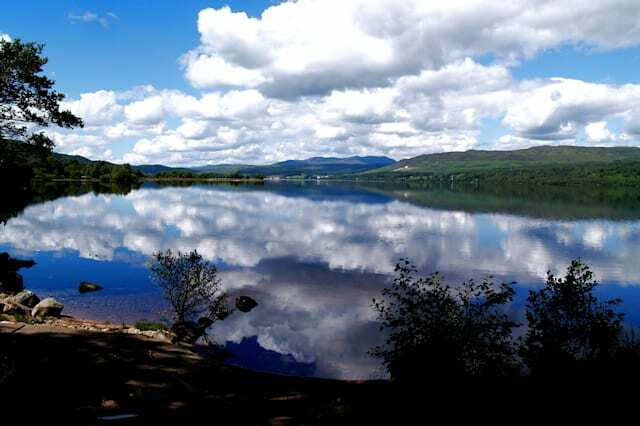 And the property also includes water frontage and ownership of much of Loch Lannoch - a great location for fishing and boating, the agents say, suggesting it would make a great educational facility or corporate retreat. 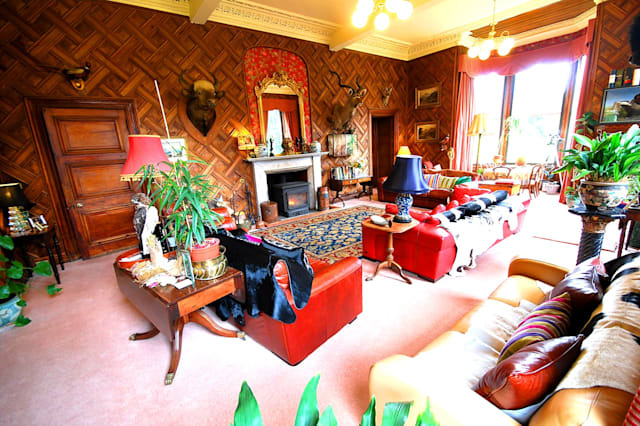 It's currently the most expensive property for sale in Scotland listed on Zoopla, thanks to the sale last month of Tulchan Estate on Speyside to Russian vodka billionaire Yuri Schefler. He's believed to have paid around £25 million for the sporting estate. This unassuming three-bedroom detached house in Martins Heron in Berkshire doesn’t immediately look like the kind of property to draw the crowds. However, the fact it was used as Harry Potter’s home in the first of the films means we were intrigued to see inside this £475,000 property that was ideal for commuting. This was an impressive seven-bedroom home in Upper Denby, on the market for £1.3 million - with plenty of rustic charm and a wood-burning stove. However, we all know the real reason this made it to the list of the most-viewed properties: it’s the enormous play area complete with pirate ship that you can just catch sight of through the lounge window. This five bedroom relatively newly-built mansion has every whistle and bell you could wish for - from a cinema and games room to a gym, swimming pool, and a dining room that’s big enough for a grand piano in the corner. It’s still on the market for £1.05 million, and is right next to Lincoln Golf course if you fancy playing a round. Unsurprisingly, this development project on Chadwick Road in East London has been snapped up. At just £1 million you got 13 rooms over four floors - with off-street parking for three cars. No wonder it was the seventh most popular home for us to look at, and dream that with a bit of elbow grease we could have a huge London property... and we could finally park somewhere near it too. This is a home that comes with a dream lifestyle. For just £1.4 million, you can get an incredibly swanky five-bedroom farmhouse in seven acres of lovely Welsh countryside. You also get a two-bedroom barn conversion - either to house visiting family, or to run as a holiday letting business. The house is still in the market - so that dream could still be yours. Ever fancy your own posh lakeside hideaway with its own jetty just over an hour from London - for just £2.8 million? Quite a few people did, judging by the fact that this new development in Cirencester was the 5th most viewed house of the year. For just £545,000, this 6-bedroom house in Donaghadee could be yours. The property itself is very recently developed in an elegantly rustic New England style. There's plenty of room, and a dream bathroom. But possibly the reason it features so high up the list of most-viewed houses is that it comes with a paddock and stable - perfect for anyone with horsey aspirations. It’s easy to see why this pretty £375,000 cottage is in such high demand. First is the fact it has been rebuilt from reclaimed stone, so combines old world charm with handy modern features (like a good-sized kitchen and fancy bathroom). Then there’s the location - right in the centre of the village of Holmfirth - best-known as the setting of Last of the Summer Wine. This impressive house in Bromley in Kent has footballer written all over it. From the pale grey colour scheme, to the acres of space, and the enormous patio for entertaining, there's plenty for a footballer to love. At just £1.7 million it’s pocket-change for them too. For the rest of us, there’s the chance to dream of a mansion within commuting distance of London for the price of a flat in Notting Hill. There was a time when a semi-detached five-bedroom home in Hampstead Garden Suburb was the sort of thing that ordinary families could aspire to. Now it's the kind of thing we spend our time daydreaming over on property websites: marveling at a 90 foot garden and the fact it has a garage. The price tag of £2.25 million means it's the kind of house we can only ever afford to look at online - which is probably why it's the most viewed property of the year.